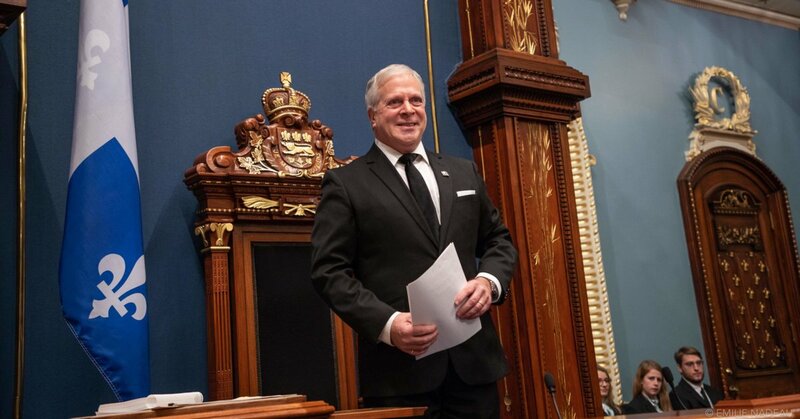 Congratulations to François Paradis, MNA of Lévis, for being the 46nd president of the National Assembly of Quebec. He made a moving, outstanding and genuine speech! « I want to lead this presidency by focusing on communication and transparency. I would like to bring Quebeckers closer to the National Assembly and discover a modern, efficient and innovative democracy. May our institution project a more positive image of the people who work there, ” declared the Speaker of the National Assembly, Mr. François Paradis.